People aren't very big at all. But at least we're bigger than ants, cells, the X chromosome, and all the empty space between particles. From quantum foam and the Planck length (that's itty bitty) to the scope of the entire measurable universe itself, this amazingly cool interactive graphic has it all. 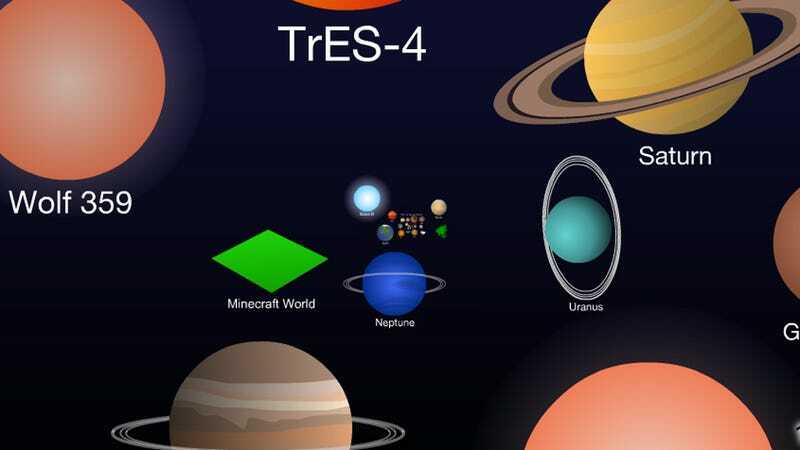 And just in case you'd ever wondered how big the world of Minecraft really is? It's just about Neptune, but nowhere near Jupiter.